BrewBakes, India’s leading food café and coffee shop chain, is offering now offering coffee shop master franchise opportunities in Malaysia and several other countries with aim to expand its winds in international markets. BrewBakes has been a reputed name in Indian food and café industry as it has grown strength to strength. It has made its significant presence in various cities and towns of India by setting up its franchise outlets. If you are looking for food business opportunity that can be started with low capital investment then BrewBakes coffee shop master franchise opportunity in Malaysia can be the best match to your needs. We are looking for those people who are passionate about doing their own business. We will provide remarkable franchise support and excellent customer services to our master franchise holders in Malaysia. Why BrewBakes Coffee Shop Master Franchise in Malaysia? Malaysia is an important South Asian country. There is huge potential for growth and life of coffee shops establishments and food business startups in Malaysia. This is primarily reason we are offering BrewBakes coffee shop master franchise opportunities in Malaysia. 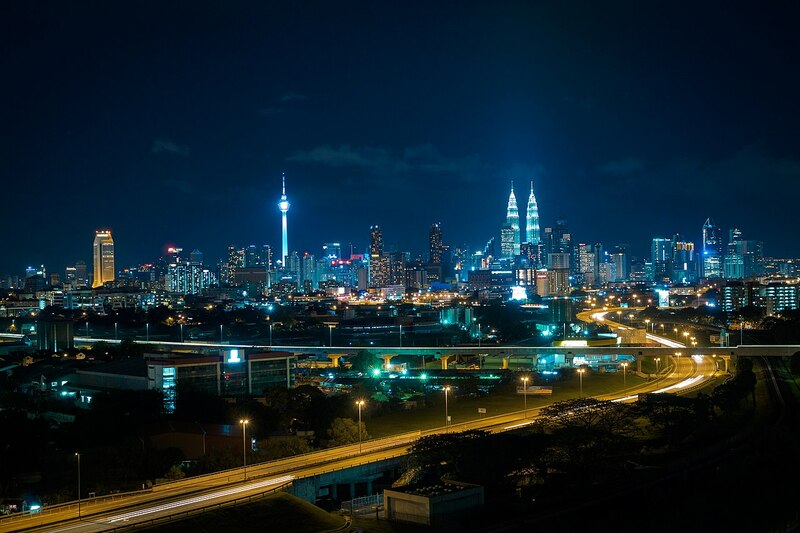 Kuala Lumpur, the capital city of Malaysia, itself offers favorable circumstances and good locations for coffee shop business startups. One of the main reasons for coffee shop master franchise business in Malaysia is its strong economy. The country has had one of the best economic records in Asia, with its GDP increasing at an average of 6.5% per annum for almost 50 years. Natural resources, science sectors, service sectors, commerce, medical tourism, travel & tourism, etc are main components of Malaysia’s economy. Because of recent rapid development and advancement in various sectors, the country has attracted millions of workers and professionals from across Asia. Frequented with people from across Asia, Malaysia can offer a great customer base to coffee shop establishments and food business startups. Malaysia’s newly industrialized market economy ranks the 39th largest in the world and the 4th largest in Southeast Asia. Because of a GDP per capita of $10,430, the country has been classified as an emerging and developing country by the World Bank. Malaysia offers perfect business climate for various sectors including coffee shop business and food business startups. There are numerous industries and businesses which are flourishing well and contributing to its economy significantly. The Malaysian people have an average affluent lifestyle but very passionate about doing their own businesses. Major economy sectors in Malaysia are electrical & electronics, automotive, construction, defense, service, finance, banking, tourism, medical tourism, oil & gas, energy, agriculture, manufacturing, industries, etc. Malaysia is a good exporter of semi-conductors, electronic products & components, palm oil, liquefied natural gas, chemicals, machinery, vehicles, petroleum, rubber, wood & wood products, optical equipment, and scientific equipment. The country also offers excellent business climate and infrastructure which is good for BrewBakes coffee shop master franchise business in Malaysia. Tourism is one of the main components of Malaysia’s economy. In terms of travel and tourism, this country has been one of the most sought after tourism destinations in Asia. It also has been emerged as one of the most preferred destinations for medical tourism. The country witnesses high influx of international tourists from different parts of the world. Most tourists come here from countries like Singapore, Indonesia, China, Thailand, Brunei, India, South Korea, Japan, Philippines, United Kingdom, Australia, Taiwan, Vietnam, United States, and France. The high arrival of tourists in this country can be good for coffee shop establishments. They can be a good and growing customer base. Beaches & islands, historical monuments & structures, museums, nature places, resorts, shopping districts, theme parks, spectacular towers, zoo, bird parks, preferred tourism attractions in Malaysia which attract the tourists from all over the world. Modern and bustling cities of Malaysia can be good locations for BrewBakes coffee shop master franchise business. The country is internationally famous for modern cities and shopping districts. Major cities in the country include Kuala Lumpur (the capital city), Seberang Perai, Kajang, Klang, Subang Jaya, Penang Island, Ipoh, Petaling Jaya, Selayang, Shah Alam, Iskandar Puteri, Johor Bahru, George Town, Melaka City, Ampang Jaya, Kota Kinabalu, Sungai Petani, Kuantan, Alor Setar, Tawau, Sandakan, Kuala Terengganu, Kulim, Miri, Kangar, Kuala Langat, Kubang Pasu, Kuala Selangor, Muar, Lahad Datu, Kinabatangan, Kluang, Kemaman, Sibu, and Temerloh. Largest urban agglomerations in Malaysia include Greater Kuala Lumpur/Klang Valley, Greater Penang, Iskandar Malaysia, Greater Kuching, Greater Kota Kinabalu, Melaka, Kuantan, Ipoh, Alor Setar, and Kota Bharu. These cities and urban agglomerations are frequented with international tourists, shopping enthusiasts and local residents. Hence, establishing coffee shops in cities of Malaysia can witness huge customer base. We at BrewBakes are offering coffee shop master franchise opportunities in Malaysia’s almost all major cities and urban areas. For more details about franchise models and coffee shop master franchise business opportunity in Malaysia, contact us today. Call now: +91-7838938556, 011-22755534 / 43016140. Grab this opportunity and become your own boss.